Free "You Like This" T-shirt! 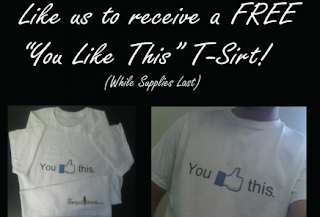 Hurry over to Bargain Shirt's Facebook page to get a free "You Like This" t-shirt! NOTE: If you don't get a form to fill out, turn off your pop-up blocker.